1: Devise an intriguing scenario. 2: Plan what publications you will submit your final story to. 3: Find the story’s focus before you start. 4: Outline character and setting details. 5: Choose a point of view for the story. 6: Write the story as a one-page synopsis. 7: Write a strong first paragraph. 8: Write a satisfying climax and conclusion. 9: Rewrite for clarity, concision and structure. 10: Pick an intriguing story title and submit to short fiction publishers. It’s wise to have these guidelines for formatting, word count and areas of interest worked out before you start, because this will enable you to make your story meet requirements for acceptance. This will save time later when it comes to revising. The scenario of your short story is the idea or image that sets the story in motion and opens narrative possibilities. The focus is the communicative aspect: What do you want to say? Why write a short story on this subject in particular? The first step of Now Novel’s step-by-step story building process, ‘Central Idea’, will help you find your idea and express it as a single paragraph you can grow into a full-fledged novel. Try it now. ‘Explore your motivations, determine what you want your story to do, then stick to your core message. Considering that the most marketable short stories tend to be 3,500 words or less, you’ll need to make every sentence count’. Writing a book makes outlining essential, given the complexity of long-form fiction. When writing short fiction, you might think ‘Why should I bother with outlining?’ The truth is that it is useful for similar reasons: It gives you creative direction and helps to make your writing structured and internally consistent. Have an idea before you start writing a short story as to who will star in it and where it will take place. This will give direction and a sense of purpose to your writing. Point of view (or POV) can create subtle shifts in characterisation. For example, a character who narrates the story in the first-person may seem strong and self-possessed. You could make the same character seem much less powerful by using the second person instead. An example of this is James Joyce’s use of the second person in his story ‘Clay’ from the collection Dubliners. The focal character is a cook named Maria. Joyce uses second-person throughout to describe Maria and her daily life, even though she is the focal character of the story. Maria’s own story not being told through the first person conveys a sense of her social position – she is a ‘she’ who is likely marshalled around by wealthy employers. The story simply wouldn’t achieve the same sense of Maria’s marginal status were it written in first person. First person: A character narrates the story using the pronoun ‘I’. Pros: One of the easiest POVs for beginners; it allows readers to enter a single character’s mind and experience their perceptions. Cons: The reader doesn’t connect as strongly to other characters in the story. Second person: Much less common, this addresses the reader as a character in the story, using the pronoun ‘You’. Pros: Novel and uncommon; the reader becomes an active story participant. Cons: The environment of the story can feel intangible as the reader has to imagine the story setting as her immediate surroundings. Third person omniscient: The story is told using he/she/it. In omniscient POV, the narrative is told from multiple characters’ perspectives, though indirectly. Pros: Allows you to explore multiple characters’ thoughts and motivations. Cons: transitioning between different characters’ perspectives must be handled with care or the reader could lose track of who is the viewpoint character. Third person limited: The story uses he/she but from one character’s perspective. Pros: The reader enjoys the intimacy of a single character’s perspective. Cons: We only understand other characters’ views and actions through the perceptions of the viewpoint character. As you can see, choosing POV requires thinking about both who you want to tell your story and what this decision will exclude. Think about the scenario of your story and what would fit best. Virginia Woolf, writing a dinner party scene, alternates between diners’ perspectives using third person omniscient. This creates a strong sense of a group of very different people coming together and bringing contrasting desires, opinions and impressions to the table. This might seem like a dubious idea. After all, how will you know where the story will take you once you start writing? The truth is that even just attempting this as an exercise will give you an idea of the strong and weak points of your story idea: Will there be sufficient climax? Is there an intriguing story that the initial premise makes possible? Joe Bunting advocates breaking your story into a scene list so that you have a clear overview of the structure of your story and the parts that require additional work. If you don’t have a clear outline of your story to begin with and prefer to start writing immediately, you can do this at a later stage too. It should foreshadow the events of the story by introducing core subjects and themes (Garcia Marquez’s story begins with the discovery of the drowned man’s body). The climax of a story is crucial in long as well as short fiction. In short stories in particular, the climax helps to give the story a purpose and shape – a novel can meander more. Many short story writers have favoured a ‘twist in the tale’ ending (the American short story author O. Henry is famous for these). The climax could be dramatically compelling. It could be the reader’s sudden realisation that a character was lying, for example, or an explosive conflict that seemed inevitable from the first page. See further pointers on editing your own writing. Once you have created an alluring title, you can set about submitting your story to publications. If you are not yet an established author, it may be easier to get published on a digital platform such as an online creative writing journal. Spread the net wide, however, and submit wherever your short story meets guidelines and topical preferences. 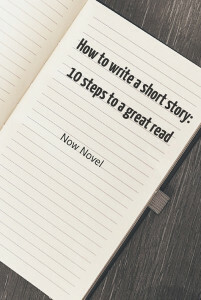 This will maximize the chance your short story will be published. Ready to write a winning short story? The short story writers’ group on Now Novel is the place to get helpful feedback on story ideas and drafts.